Dr. Coit accepts the following list of insurance providers. Select your insurance provider to see more details. I am a surgical oncologist whose primary area of clinical and research interest is melanoma. In 1991, I introduced lymph-node mapping and sentinel lymph-node biopsy for melanoma and other selected skin cancers. Together, these procedures can determine during surgery whether a tumor has spread to surrounding lymph nodes. Using lymph node mapping, we can pinpoint the precise lymph node into which a nearby tumor is likely to travel first (called the sentinel node). If a biopsy of the sentinel node indicates cancer spread, the surrounding lymph nodes are removed. But if there is no evidence of cancer in the sentinel node, patients are spared from additional lymph node surgery. My research has focused primarily on detecting and defining the clinical significance of individual melanoma cells in the sentinel lymph nodes, blood, and bone marrow of melanoma patients, with the goal of identifying patients at highest risk of cancer recurrence following surgery to remove a melanoma. I served as Chief of the Gastric and Mixed Tumor Service in Memorial Sloan Kettering’s Department of Surgery from 1997 until October 2003. This service focuses primarily on the surgical management of less common malignancies, including melanoma, sarcoma, gastric cancer, and pancreatic cancer, and also provides surgical support for the Lymphoma Service. 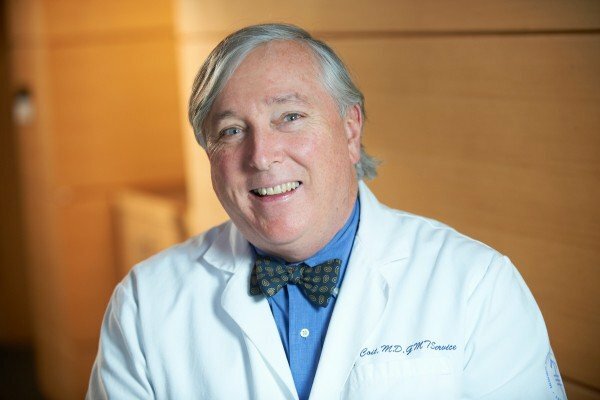 I currently serve as a co-leader of the Melanoma Disease Management Team — a multidisciplinary team of surgeons, medical oncologists, pathologists, and other medical professionals at Memorial Sloan Kettering who specialize in the diagnosis and treatment of melanoma. On a national and international level, I am involved in advancing new ways to diagnose and treat melanoma as a member of the American Joint Commission on Cancer Melanoma Staging Committee, the National Comprehensive Cancer Network Melanoma Advisory Group, the American College of Surgeons Commission on Cancer Melanoma Working Group, the American College of Surgeons Oncology Group’s Melanoma Working Group, and the World Health Organization Melanoma Committee. In addition to my interest in melanoma, I also have an expertise in the treatment of gastric cancer. I served on the program committee of the International Gastric Cancer National Meeting in 2001. And in 2002, I was co-leader of the Gastric Cancer Working Group of the National Cancer Institute’s Stomach Cancer Progress Review Group. I am currently the co-principal investigator of two gastric cancer studies at Memorial Sloan Kettering. The first evaluates the effectiveness of chemotherapy prior to surgery in high-risk gastric cancer patients, and the second is a “Quality of Life Assessment” of gastric cancer patients. I am also an active member of the American College of Surgeons Oncology Group Upper GI Cancer Working Group. Memorial Sloan Kettering Cancer Center plays a key role in training oncology doctors, and I have had a long-standing interest in the training of surgical oncology fellows. I served as the Director of Surgical Education for the Surgical Oncology Fellowship Training Program at Memorial Sloan Kettering from 1991 to 1997, and I was Director of the Society of Surgical Oncology Training Committee, where I oversaw the administration of all surgical oncology fellowships across the nation from 1994 to 1999. As part of my interest in spreading information we have learned about cancer at Memorial Sloan Kettering, I have lectured extensively, both nationally and internationally, and authored a number of manuscripts and reviews on various surgical oncology topics. “Technique of hyperthermic isolation limb perfusion.” Coit DG. In: Atlas of Surgical Oncology. Monson JRT, Donohue JH, van Heerden JA, eds. Oxford: Blackwell Scientific ; 1995: 45-49. “Malignant melanoma.” Coit DG: In: Conn’s Current Therapy. Rakel RE, ed. Philadelphia: WB Saunders; 1997: 818-820. “Isolated perfusion of extremity tumors.” Fraker D, Coit DG. In: Regional Therapy of Advanced Cancer. Lotze M et. al, eds. Philadelphia: Lippincott-Raven; 1997: 333-349. “Regional chemotherapy of melanoma.” Brady MS, Coit DG. In: Regional Chemotherapy Clinical Research and Practice. Markman M, ed. Totowa, NJ: Humana Press; 2000: 33-55. “Cancer of the small intestine.” Coit DG. In: Cancer: Principles and Practice of Oncology. 6th ed. DeVita VT, Hellman S, Rosenberg SA, eds. Philadelphia: Lippincott-Raven; 2001: 1204-1215. “Technique of lymphatic mapping with sentinel lymph node biopsy in patients with malignant melanoma.” Coit DG. In: Sentinel Lymph Node Biopsy. Cody H., ed. London: Martin Dunitz; 2002:135-142. “Metastatic surveillance and follow-up.” Coit DG, Ferrone CR. In: Cutaneous Melanoma. 4th ed. Balch CM, Houghton AN, Sober AJ, Soong, SJ, eds. St. Louis: Quality Medical Publishing; 2003: 511-521. “Metastatic melanoma at distant sites — followup.” Olsen J, Coit DG. In: Textbook of Melanoma. Thompson J, Morton D, Kroon B., eds. London: Martin Dunitz; 2004: 449-458. “Inguinofemoral, iliac/obturator, and popliteal lymphadenectomy in patients with melanoma.” Jacobs LK, Balch CM, Coit DG: In: Cutaneous Melanoma. 5th ed. Balch CM, Houghton AN, Sober AJ, Soong, SJ, Atkins MB, Thompson JF, eds. St. Louis: Quality Medical Publishing; 2009. “Recurrent regional metastases of melanoma.” Coit DG, Ferrone CR. In: Cutaneous Melanoma. 5th ed. Balch CM, Houghton AN, Sober AJ, Soong, SJ, Atkins MB, Thompson JF eds. St. Louis: Quality Medical Publishing; 2009. “Radical groin dissection.” Coit DG. In: Mastery of Surgery. Fischer J, eds. Philadelphia: Lippincott Williams and Wilkins; 2012: 1743-57. Visit PubMed for a full listing of Dr. Coit’s journal articles. Pubmed is an online index of research papers and other articles from the US National Library of Medicine and the National Institutes of Health.